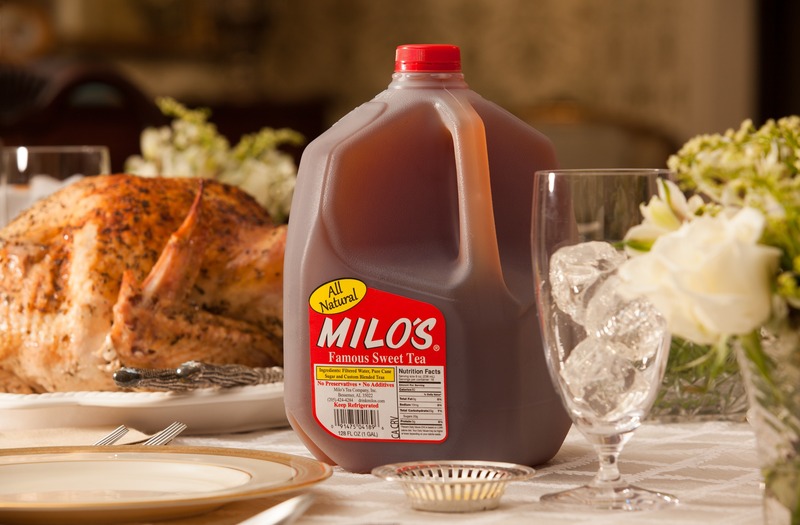 Milo's Famous Sweet Tea Turkey Brine - Milo's Tea Company, Inc. 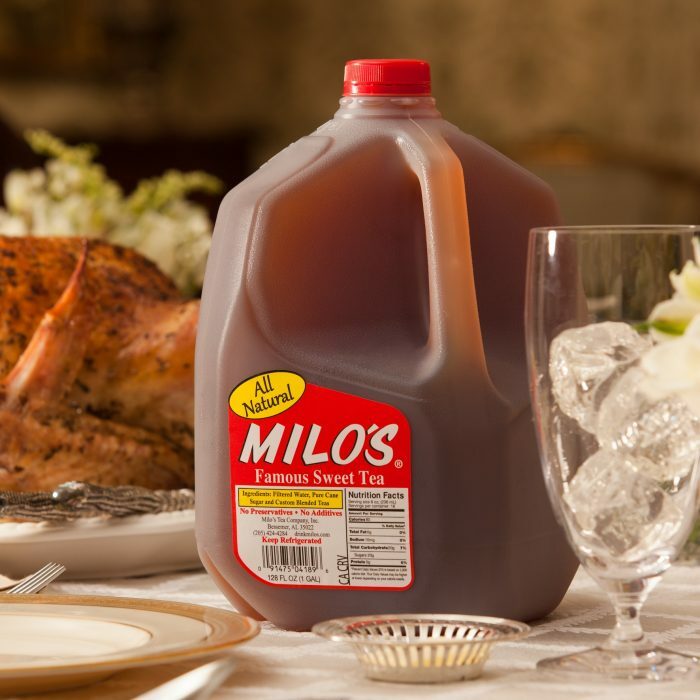 In a large stock pot, combine the Milo's Famous Sweet Tea and kosher salt. Heat, stirring frequently until salt is dissolved. Add onion, lemon, garlic and rosemary. Remove from heat, and let cool to room temperature. When the broth mixture has cooled, pour it into a clean 5 gallon bucket. Stir in the ice. Wash and dry your turkey. Making sure you have removed the innards. Place the turkey, cavity side up, into the brine. Making sure that the cavity gets filled. Cover and place the bucket in the refrigerator overnight. Cook the turkey as desired reserving the drippings for gravy.